During May, all visitors and locals will be offered "Buy One, Get One Free" admission at participating museums. Also, during this month-long program, membership at any one of these participating museums will work as a free pass to any of the other museums. For more GMCVB Marketing Programs, visit MiamiTemptations.com. MAY IS HAITIAN HERITAGE MONTH! Haitian Heritage Month is a nationally dedicated time where the Haitian community celebrates the culture and traditions of Haiti. The celebration is an expansion of the Haitian Flag Day on May 18, a major patriotic day celebration in Haiti and the Diaspora created to encourage patriotism. Click here to visit the Little Haiti Cultural Center's website and learn about special celebrations taking place this month. 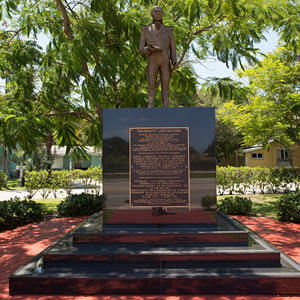 Miami-Dade Art in Public Places, established in 1973, was one of the first public art programs in the country. 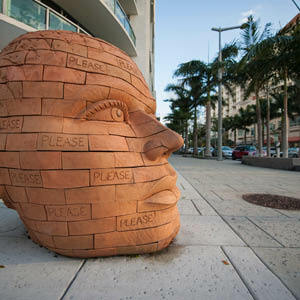 Through the years, the Miami-Dade Art in Public Places Trust has acquired or commissioned over 700 works of art and gained international recognition as a leader in its field. Artworks are installed countywide at diverse sites. Miami International Airport’s MIA Connections digital magazine was recognized on April 26 with a Communicator Award under the magazine website category. Published by HCP/Aboard Publishing for the Miami-Dade Aviation Department, the quarterly e-magazine won the Award of Distinction, which is presented to projects that exceed industry standards in quality and achievement. After months of anticipation, the Fathom Adonia (Fathom is one of Carnival Cruise Line’s newest brands) departed PortMiami bound for Cuba on Sunday, May 1. The itinerary includes visits to three historic Cuban Cities including Havana, Cienfuegos and Santiago de Cuba. The Colombian National Team will square off against the Haitian National Team on Sunday, May 29 at Marlins Park. The friendly match will be one of the final tune-ups for the two nations before the Copa America Centenario held June 3-26 in the United States. Register today for our June 2 training session! Want to know when the next Metrorail train or bus is arriving? Well, there's an app for that! Miami-Dade Transit's MDT Tracker app allows you to get comprehensive real-time information on Transit services right from the palm of your hand. Simply select Metrobus, Metrorail or Metromover and check schedules and arrival times. By downloading the MDT Tracker, you will have the most up-to-date and accurate route and schedule information free of charge. Download the Miami-Dade Transit’s Tracker App on your iPhone or Android or visit MDT's mobile site to get started. AFFORDABLE LUXURY arrived at MIA Curbside with the launch of SUPERSHUTTLE'S Mercedes Benz Black Sprinters. Travelers can enjoy VIP service at an affordable price. The premium service offers upscale, private transportation to and from the airport, business meeting, social event or around town. You can book your Sprinter at any SuperShuttle kiosk at MIA or by calling 305/871-2000. During the months of March 2016, domestic passenger arrivals into Miami International Airport (MIA) increased by 6.9 percent compared to 2015. International passenger arrivals increased by 2.4 percent while total passenger arrivals increased 4.8 percent compared to the same time last year. During May, visitors and locals can take advantage of “Buy One, Get One Free admission," "Join One Museum, See Them All" and other special offers at participating museums during GMCVB's Miami Museum Month. 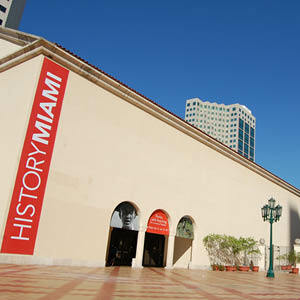 For more information including participants, special events and exhibits, please visit MiamiMuseumMonth.com. 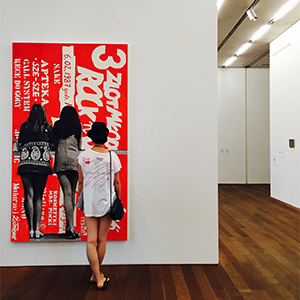 Miami Museum Month is sponsored by Citibank®. The average wait time in São Paulo, Brazil for a Visa interview appointment in order to visit the USA is currently 1 day. Click through to find out the wait time for other top Brazilian cities. WWE's WrestleMania Week drew record-breaking crowds to Miami and Beaches in April 2012. As part of National Tourism Month, GMCVB President & CEO William D. Talbert, III, CDME will provide the Miami-Dade County Commission with an update on the Travel and Tourism Industry in Greater Miami and the Beaches. On May 18, 2016 GMCVB President & CEO William D. Talbert, III, CDME will attend the Education Fund’s Public School Alumni Achievement Awards at the Miami Airport Convention Center. This year’s event will bestow Wometco Enterprises, Inc. Chairman & CEO Arthur H. Hertz with the first Public School Alumnus of Distinction Award. The 18th Annual Haitian Compas Festival is the largest gathering of Haitian music fans in the United States. It has been ranked among the Best in Live Music Entertainment events by Billboard Magazine. Returning back to its original location at Bayfront Park in beautiful Downtown Miami on May 18, the festival attracts over 25,000 patrons annually. GMCVB President & CEO William D. Talbert, III, CDME will be a featured speaker at the upcoming Doral Chamber of Commerce Power Business Networking Luncheon on-board the Carnival’s Sensation ship. GMCVB President & CEO William D. Talbert, III, CDME will be a featured guest on Pete De La Torre’s “The Voice of Business Miami” show on May 19, 2016. Mr. Talbert will be promoting the newest happenings in Greater Miami and Beaches, including Miami Museum Month, signature attractions and events, the Miami Beach Convention Center renovation and the business of tourism. CAMACOL, the Latin Chamber of Commerce of U.S.A., will hold its 37th Annual Hemispheric Congress event June 6-9, 2016 at the Biltmore Hotel, Coral Gables. Visit 25 countries in three days! Meet and conduct business with many world leaders at this exclusive event. For the months of March and April, the GMCVB’s international websites show an overall increase of 45 percent in visitation year-over-year due to new and enhanced editorial content. The “Always On” digital campaign retargets individuals who have visited the GMCVB’s website, driving them to the Special Offers page with the goal of driving more clicks to partners for sale. In celebration of May’s Miami Museum Month, the GMCVB is giving social media fans a chance to win 2 annual membership passes at a participating Miami Museum Month of their choosing. GMCVB Northeast Travel Industry Sales Team will travel to Philadelphia to participate in the American Airlines Vacations Product Launch trade show on May 19. Last week, the Team participated in the Hartford Courant Daytrips & Destinations Travel Agent Reception held May 13. GMCVB Convention Sales Team is preparing to attend the Annual Conference of Society of Government Meeting Professionals in San Diego, CA USA May 17-19, 2016. GMCVB Convention Sales Team will participate in the Florida Society of Association Executives (FSAE) Capital Events Trade Show on May 17, 2016. Capital Events is a trade, appointment-based show where the Team will host one-on-one appointments with 20 of the 60 meeting planners in attendance. GMCVB Convention Sales Team will attend the annual industry partner review hosted by the Association of American Medical Colleges at their offices on May 19, 2016. The Team will also attend a monthly meeting for The Potomac Chapter of Meeting Professionals International (PMPI) later that evening. GMCVB Media Relations Team will be hosting the editor of China’s Numero magazine while covering Miami’s unique art scene May 16-19, 2016. Interviews with local artists will be featured. 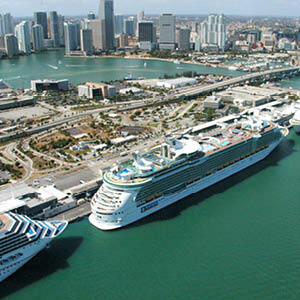 The editor will experience Sunny Isles, Little Havana, Coconut Grove, Design District, Wynwood, Little Haiti and more. GMCVB Media Relations Team will be hosting a Mexican blogger and influencer May 19-13, 2016 who will be in town highlighting family travel as she travels with her family. They will experience kid-friendly outdoor attractions (Jungle Island, Seaquarium and PAMM) and wellness options. GMCVB Media Relations Team will be hosting a group of five European journalists from select publications from the UK, Germany, France, Italy and Scandinavia for the “Miami: On Location” themed Pan-European group press trip May 17-21, 2016. GMCVB Multicultural Tourism Vice President Connie Kinnard attended The National Museum of African American Music’s Legends Lunch in Nashville, TN USA on May 6. Ms. Kinnard was there to honor and support music legends Gamble & Huff, John Platz and Chairman & Co-Founder of TV One and Radio One Cathy Hughes. GMCVB Multicultural Tourism Vice President Connie Kinnard attended the ribbon-cutting ceremony for Florida Memorial University’s new Wellness & Event Center on May 12, 2016. The facility will serve as a space for recreation and will also be available for public events. South Florida Sports Foundation Inc.